In recent years, millennials have populated headlines. Some report that they’re an important demographic and others argue against their disruptive attitudes and buying habits. But what if millennials are the key to success? What if the way you advertise and promote your food brand depends on the millennial cohort? Their segment alone is a buying power that composes the digital realm. 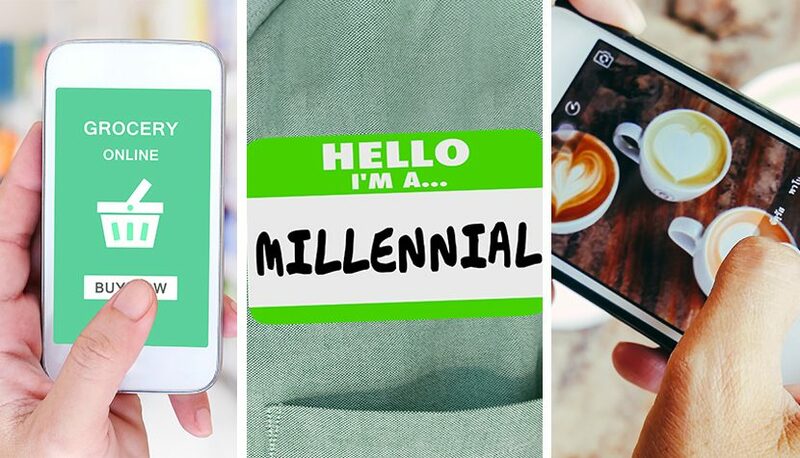 Why should I target millennials? According to the United States Census Bureau, millennials make up about one-fourth of the current population. That’s a large amount of the consumer segment. Because of this, food brands and food retailers should be acknowledging the increased changes this generation is bringing to the food industry. How do I engage with millennials? Look at it this way, according to FMI’s “U.S. Grocery Shopper Trends 2017,” millennials are changing the way consumers shop for food. They are using non-traditional platforms, like online purchasing and mobility, to obtain their weekly groceries. Using devices such as smartphones or tablets, shoppers are looking for digital coupons and sales ads instead of print material. However, physical interactions with groceries stores are not completely out of style. Although millennials are shopping more online, it hasn’t been online centric. FMI shows that they are still relying on stores to buy things such as fresh foods like produce, meat, dairy, and bakery items. Creating products that are health-conscious is essential to reaching the millennial shopper, since they are looking for fresh foods that aren’t processed or full of toxins. As FMI puts it, being “[t]ransparent” with your food is the key to gaining loyal customers. Being able to trust the brands you eat promotes consistent purchasing and a brand following. Food retailers, who work cohesively with these truths and their shoppers, build a good consumer relationship for the company and the brand they are selling. Locate how to digitalize your brand. Be as transparent as possible to spark this generation’s interest in what your company is selling. Omnichannel marketing is growing in prevalence and should be of interest to get the best possible results with purchasing and branding with consumers. Pay attention to your audience, because dynamics have changed and grocery shopping shouldn’t be focused on one specific group of people. Don’t be in the dark with your next steps. Move with the times and check out Patrick Nycz’s book Moving Your Brand Up The Food Chain to determine the future of your brand.